Welcome to Daleco Unique Products. We are located in Whitby, Ontario or more commonly known as the GTA and are just a short drive from Toronto. We sell products across Canada to Interior Designers, Furniture Stores, Home Health Care Stores, Trading Posts, Television Weekly Series Production Companies, and many other customers. We carry some unique products for your home . 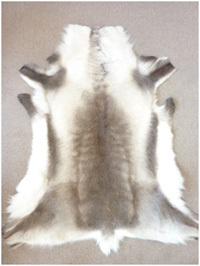 There are Reindeer Hides that come in a Light Greyish to Dark Brown color variations and we occasionally receive a pure White Reindeer Hide. These can be used for decoration purposes in specific areas of your Home or Cottage. Just to mention a few items, we carry Natural Cowhides in unique patterns from different shades of Grey to Exotic Light, Exotic Medium, Exotic Dark, and Exotic Tri-color Cowhides. 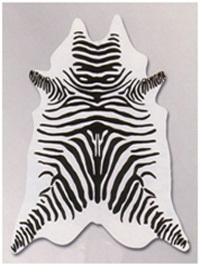 We also carry Printed Zebra And Printed Tiger Cowhides, these are realistically unique. We have Sheepskins that come in several colors, they are great on a chair or on the floor for decorative purposes, or even on your motorcycle to make your most important long ride more comfortable. We also carry Therapeutic Medical Sheepskins for the bed or wheelchair, these would certainly help make a family member more comfortable. 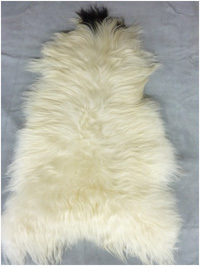 We carry Icelandic Sheepskins in Natural White and Natural Black colors. They are great on a chair and also can be used for decorative purposes in any room. 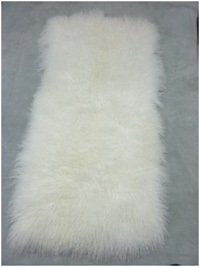 We also have Tibetan Lambskins also known as Mongolian Lambskins. They are available in Natural, Bleached White, Dyed Black & many other beautiful colors. We also carry Cushions made of these Tibetan Lambskins, they can add a real punch of color to your Living Room area. There is also a variety of Fur Keychains, Rabbit Skins, and Rabbit Fur Davey Crocket Hats with a Raccoon Tail, Reindeer Antler Bottle Openers, an assortment of Keychains and Pendants made from Reindeer Antler, and a small assortment of Finnish Knives for avid Fisherman and Hunters. We invite you to take the time to browse through our Products Catelogue (see link below) and see all very unique products that we sell to our faithful customers. Please contact us for access to our price lists.